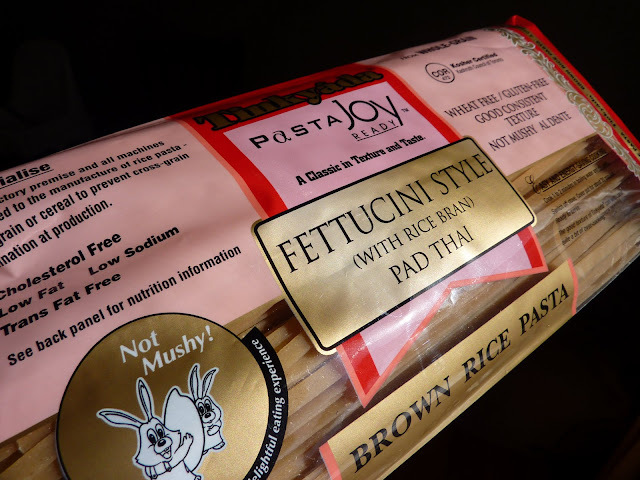 By now you may have realized that I am no longer letting my family's food allergies come in the way of enjoying my all-time favorite dishes. Fettuccine Alfredo is no exception. Many years ago, back when I was a young lass, my dear husband and I traveled Europe with nothing but packs on our backs and tennies on our feet. We were young lovers-at-heart soaking up the exciting world beyond the Atlantic at every turn. We spent months on the road—and sometimes on each other's nerves—making stops in London, Dublin, Paris, Chamonix, Milan, Cinque Terre, Florence, Rome, Ljubljana, Munich and Amsterdam. There was no form to the trip. We took each day as it came. Deciding on a whim whether to stay or to go. It was truly the trip of a lifetime that—looking back—informed so much of who we have grown to be as husband & wife and world citizens. Throughout our months of travel, we were on a insanely tight budget. Not an unfamiliar position. We made the most of it by eating bread and cheese for most meals. 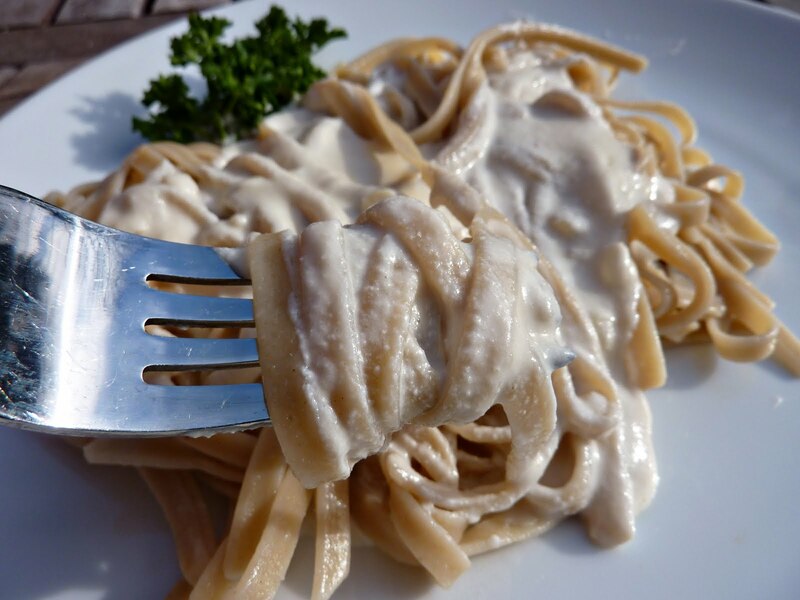 But when we desired something special we went straight for the Fettuccine Alfredo every time. The ingredients are simple. And widely available. The preparation is quick—25 minutes max. And the whole thing only requires two pots. The bottom line is this dish was the fanciest thing we could make for the littlest amount of cash. We celebrated our third wedding anniversary over Fettuccine Alfredo, wine and roses in a cute little hotel room in Holland. It's no wonder why I've had a hard time letting the idea of Fettuccine Alfredo go forever from my consciousness. It just isn't right for gluten-free/dairy-free people to miss out on such a fabulous supper. Recently, I went about changing that for my family and created this "just as I remember it" Fettuccine Alfredo recipe for all my dairy-free, vegan and gluten-free peeps. 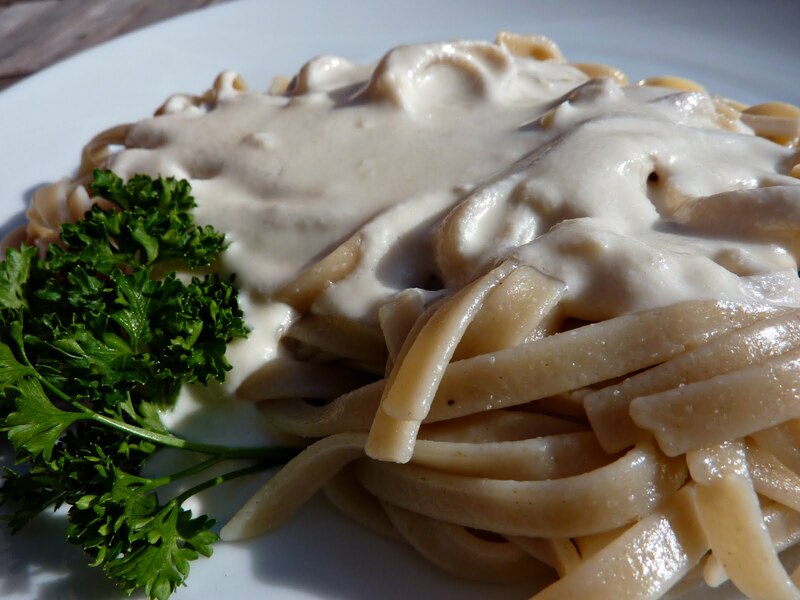 Now I know what you may be thinking, because I thought it too for a long time—dairy-free Fettuccine Alfredo—that sounds gross! How do you make something that is based entirely around dairy taste even remotely normal? Trust me, I've tried so many different variations of cream/dairy alternatives for a cream sauce and I'll be honest with you—they all sucked. Most tasted far from normal and a few were downright nasty. I couldn't get my family to eat that weird stuff if my life depended on it. But this my friends, this is different. My kids virtually inhaled their "macaroni and cheese" and hubs and I were brought back to our dear old memories. That said, if you've been eating dairy products on a regular basis, you might know the difference right away with this sauce. But I can't be sure because I haven't had any dairy in a long time. 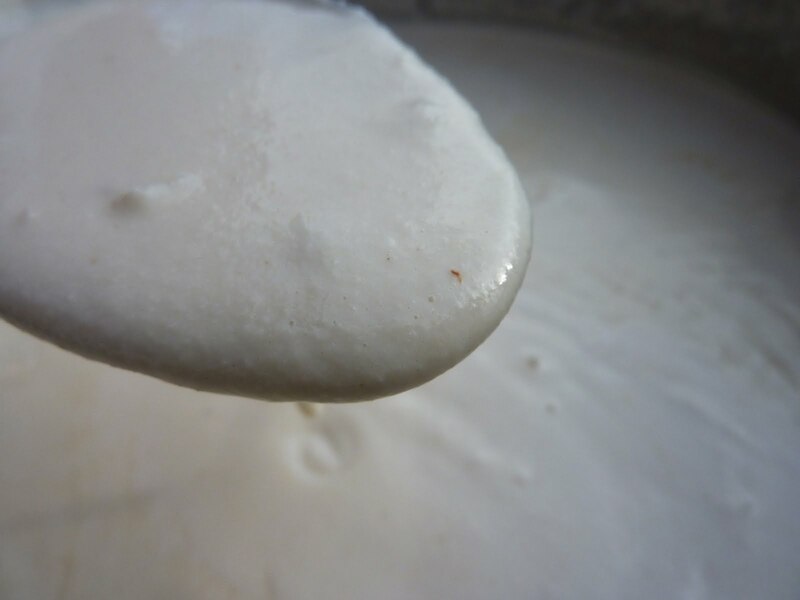 I'm curious... if you try this recipe and serve it to the dairy-eating public, what are their impressions? You should know that I stayed away from cashew cream for far too long for fear of it being too complicated for a busy woman like me. Now that I'm using it in place of cream for most recipes, I've found the opposite to be true. It is so ridiculously easy. You have to give it a try if you haven't already. Please, do it for me. 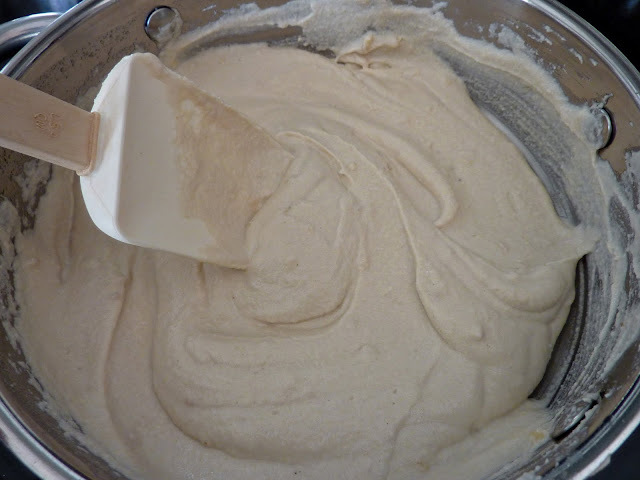 Try cashew cream! 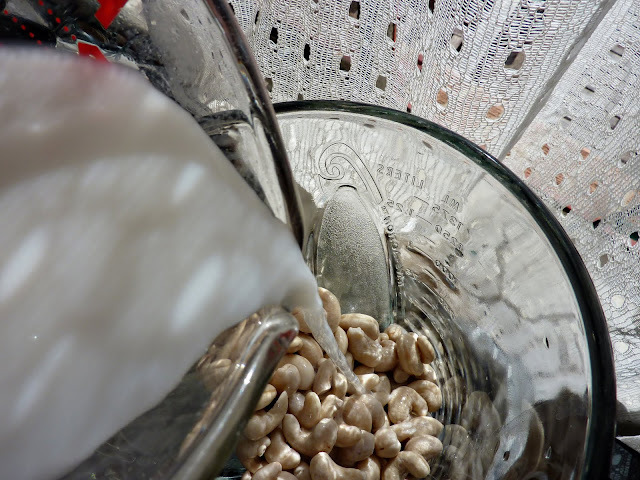 And one final note... Soaking the cashews is a very important step to making a smooth sauce. The longer they soak, the smoother the sauce. Soaking for twenty minutes will do, but will leave your sauce a little grainy. 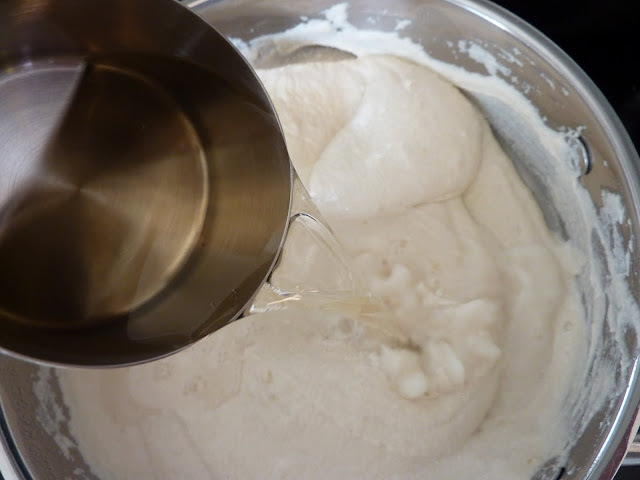 Soaking for at least five hours is highly desired so that the sauce is smooth as buttah. 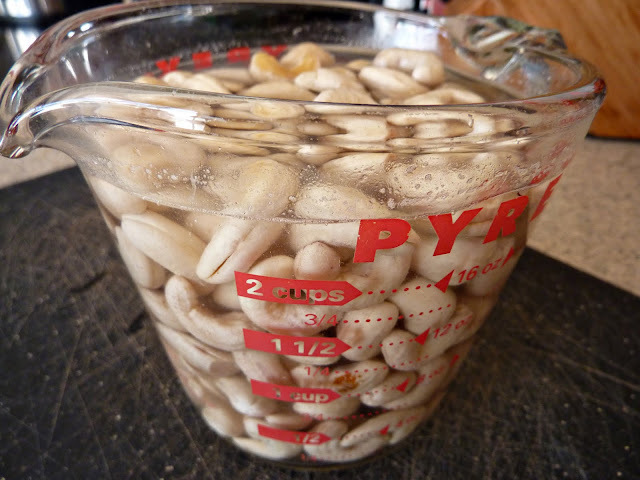 Soak 2 cups raw unsalted cashews in water for at least five hours. Overnight is good too. Twenty-minutes will work, but will leave your sauce a little grainy. Anyhow, when finished soaking, drain the water out. Place the cashews in a blender with 1 cup plain rice milk. Blend until smooth, very smooth. 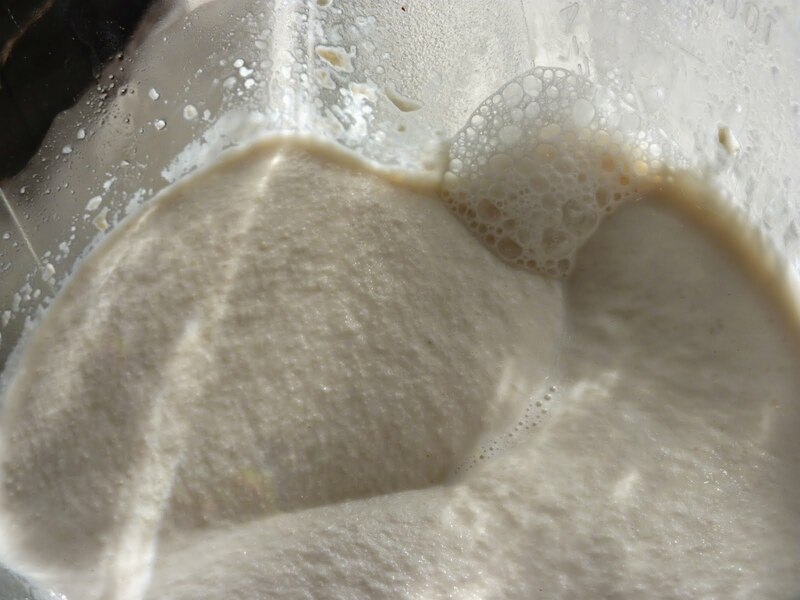 Add a touch more rice milk if necessary. Set aside. Heat 3 TBS olive oil (or butter) in a heavy saucepan over medium heat. Add 1 1/2 TBS fresh minced garlic. 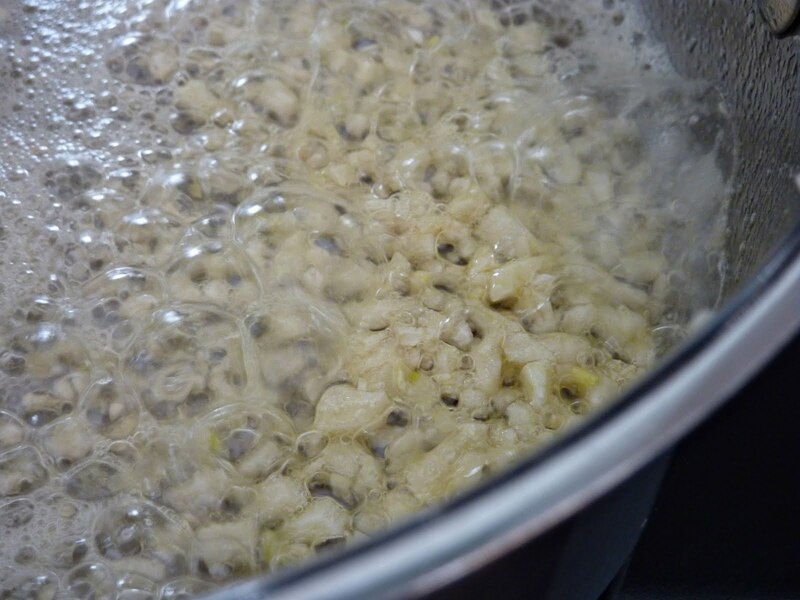 Saute slightly until strong aroma arises from pan. Just about one minute or less. Don't brown the garlic. Turn heat to medium-low. 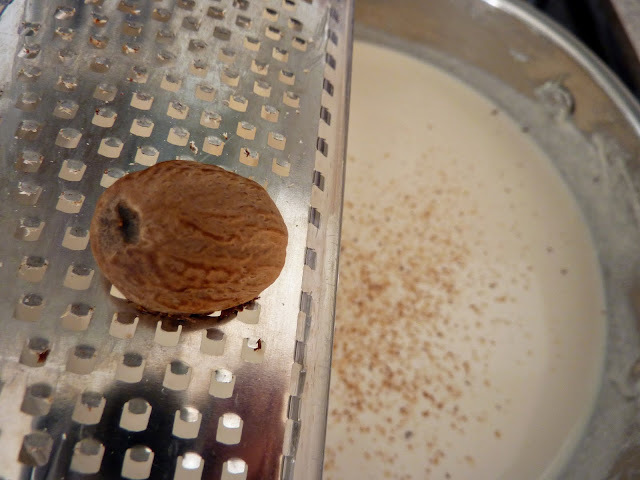 Add in all of the cashew cream from the blender, 5/8 tsp salt, the desired amount of white wine and the nutmeg. Stir well to combine. Turn heat to low. Heat through, about five to ten minutes. Do not simmer or boil. Serve over piping hot fettuccine noodles. Get the water started for your noodles. Put them in as soon as the water has come to a rolling boil. Don't forget to treat the water with a hearty portion of salt and some olive oil. Soak 2 cups raw unsalted cashews in water for at least five hours. Overnight is good too. Twenty-minutes will work, but will leave your sauce a little grainy. Anyhow, when finished soaking, drain the water out. 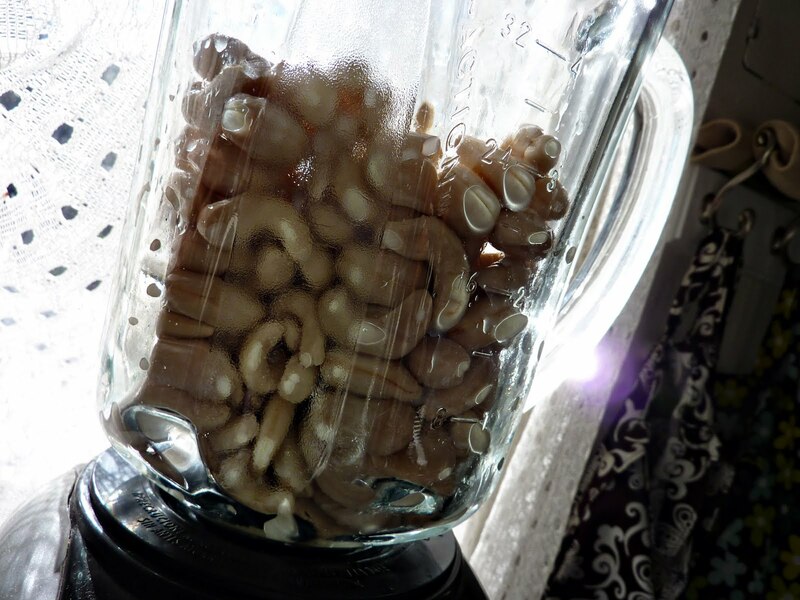 Place the cashews in a blender. Add 1 cup plain rice milk. Blend until smooth, very smooth. Add a touch more rice milk if necessary. Set aside. Turn heat to medium-low. Add in all of the cashew cream from the blender. 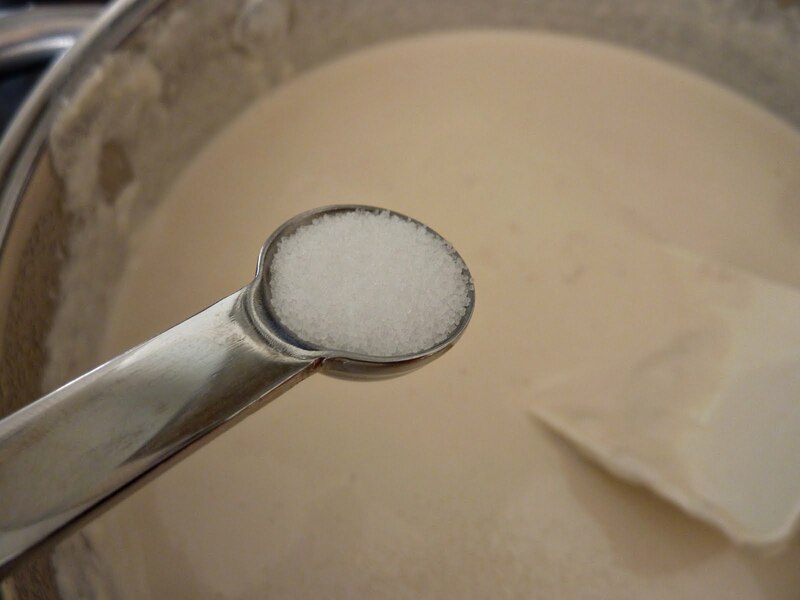 Add 5/8 tsp salt (that's 1/2 tsp + 1/8 tsp for those of us who don't care to do complicated math while we're cooking). Now add the desired amount of white wine. I like my sauce to carry a strong flavor, so I add the full 1 + 1/4 cup, but that might be too much for your palate, so I suggest starting with 3/4 cup and adding more until it's just right. Heat through, about five to ten minutes. Do not simmer or boil. I was so excited about this recipe, but I'm allergic to cashews! Way to go though. Oh,oh.oh.ohThis is the best vegan, gluten-free alfredo I have ever made! Thank you soooooo much!